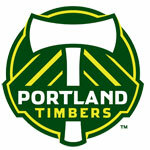 The flailing Portland Timbers (1-4-1) host top-of-the-table Sporting Kansas City (7-0-0) at Jeld-Wen Field this Saturday at 7:30 p.m. The match will be broadcast live on Root Sports, Freedom 970, and La Pantera 940 AM. Struggling mightily, Portland is coming off a miserable 3-1 loss (which may have been their best effort in a month) to the L.A. Galaxy last week. Undefeated (and un-tied) Sporting Kansas City, on the other hand, beat the Vancouver Whitecaps 3-1 on Wednesday. Will Kansas City be tired? Will the Timbers show up? Will they play their best game of the season? Would that even be enough? Well at least the weather looks promising, and hell, did anyone expect the Timbers to stop the L.A. Galaxy’s fourteen game undefeated streak last season? That’s why they play the game. Great win and great running into you two on the 19!